It's a new day. 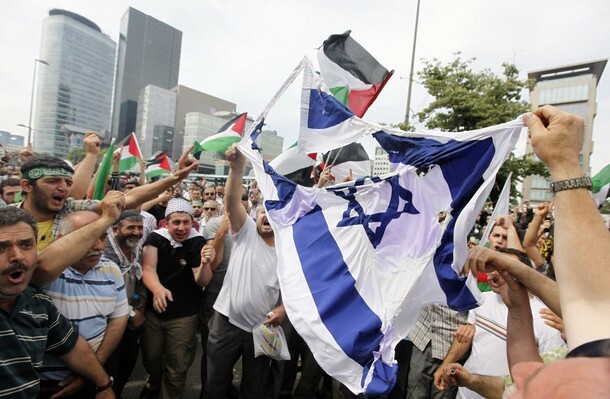 See the new post (or go to the main muqata page, http://muqata.blogspot.com) as we cover today's roundup of Flotilla news from Israel. 12:03 AM (Tuesday) Initial video from IDF Spox of some of the weapons found about the flotilla terror ships. 11:16 PM What Should Israel Do Tomorrow? Best answer I've heard so far: publicly recognize the Armenian Genocide. It's the least we can do for a good friend and neighbor like Turkey. 11:13 PM No news yet on the "Rachel Corrie" boat getting crushed yet. But we're waiting. Jenin on the High Seas: If Israel truly had wanted to “massacre” the Hamas sympathizers and fellow travellers aboard a six-ship Gaza-bound flotilla, the operation would not have been complicated. The Israeli Defense Forces (IDF) would have used the trusty North Korean solution: Torpedo the ships and watch them sink to the bottom of the sea. That’s certainly what Hamas would have done to a boatload of Jews, if it got the chance. Tikkun Magazine wants to say Kaddish for Flotilla Terrorists. This will definitely turn your stomach. We regret and deplore the killings which took place as Israeli troops, in defiance of international law, boarded and assaulted, wounded many and killed some of the participants in a flotilla seeking to break the Israeli blockade of Gaza (itself a morally outrageous policy) to bring humanitarian aid. We ask all people of peace to dedicate at least fifteen minutes today (Memorial day in the US) to silent memorial for those peace activists who have been killed (and we call upon all synagogues around the world to say Kaddish for those people at their Shabbat services this coming weekend), and for prayer for the speedy recovery of all those wounded in this attack (mostly peace activists, but also the Israeli soldiers who boarded the boats with violence). This shocking outcome of an effort to bring humanitarian relief to the people of Gaza is in part a consequence of the ongoing, counterproductive Israeli blockade of Gaza. J Street has been and continues to be opposed to the blockade - believing that there are better ways to ensure Israel's security and to prevent weapons smuggling than a complete closure of the Gaza Strip. We express our condolences to the families of those killed and we wish the injured a full and speedy recovery. We hope that leaders on all sides will take immediate steps to ensure that this incident does not escalate into a broader round of violence - in Israel, in Gaza, or in the region. Such holy, holy people were those martyrs killed today on the ship, as they stabbed and shot at the evil IDF soldiers. 10:15 PM One last Flotilla terror boat reported on the way after being delayed. Could be the "Rachel Corrie". Maybe the IDF will flatten it like a pancake. 8:14 PM As we start wrapping up today's events, its not surprising to see the world's condemnation of Israel. We expect it. Regardless of the non-lethal force the IDF was expecting to use, or the "peace activists" Israel was expecting on the ships, today's events spiraled out of control as terrorists brutally attacked IDF soldiers with intent to kill. It should come as no surprise either as Israel gets blamed by self-righteous "moderate" Jewish bloggers, that seem to always line up with Israel's most radical leftists. Right now Israel needs your support. None of the "leftwing humanitarians" could care less about Gilad Shalit, nor were they willing to do even the bare minimum of delivering a letter to him from his family. Today's entire episode has nothing to do with Gazans or human rights. Its entirely about destroying Israel. We'll update anything else of note...and we hope to be back to our regular Muqata programming tomorrow. 8:11 PM Last Flotilla terrorist boat brought into Ashdod port. - There are about 30 wounded flotilla terrorists in Israeli hospitals now. - A flotilla ship is being brought to the Ashdod port, under heavy guard. There are reportedly over 600 on board, and they don't want to be arrested, "quietly"
6:15 PM IDF Radio Hadas Shteif reports that hundreds of Arab residents of Um El Fahm are throwing rocks and rioting alongside highway 65. Car windows have been smashed, fires have been started alongside the sides of the roads, and the border police are firing tear gas and rubber bullets -- trying to disperse the Arab mob. 6:00 PM Reminder: To show solidarity with the brave wounded IDF soldiers who tried to board the Mavi Marmara peacefully early this morning and were met with violence, with tragic results that we have all seen, there will be a demonstration of solidarity with the IDF at 6pm tonight (UK time) in Whitehall opposite Downing Street. 5:59 PM IDF Reports that only 9 flotilla terrorists were killed today, not "more than 10, 16, 34, etc as reported by Al Jazeera". 5:35 PM IDF Radio reports that Israeli Arabs in Umm Al Fahm are planning a demonstration at 6 PM alongside highway 65. Police are concerned the demonstration will turn violent and block evening traffic as motorists attempt to return home. 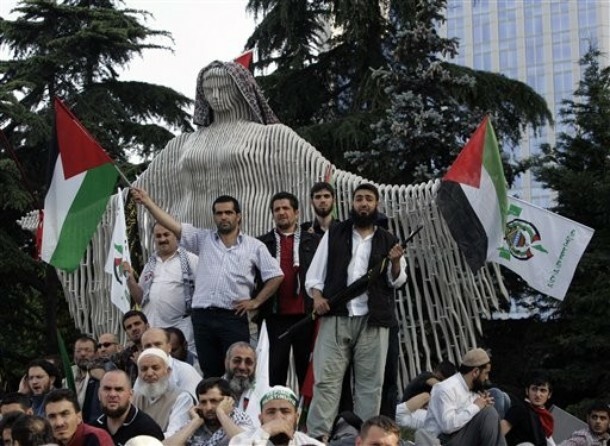 5:27 PM The IHH "Charity organization" helped organize the flotilla of terror. The CIA already noted its ties to terror as early as 1996. No surprise. 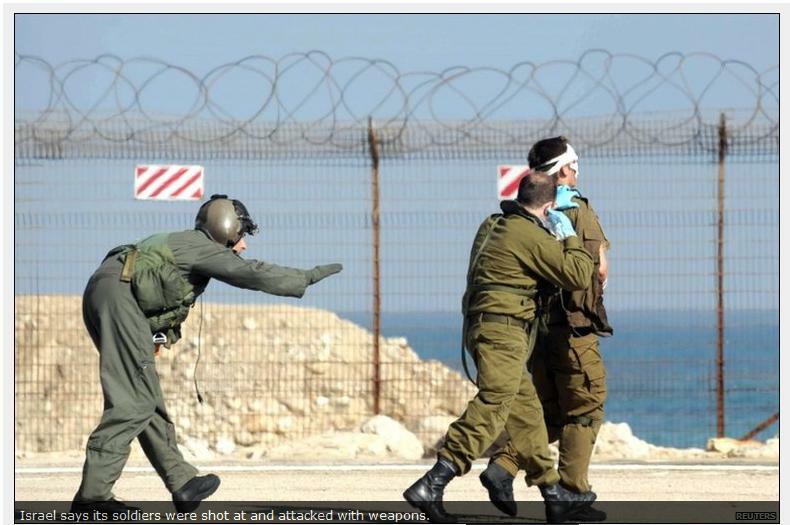 5:16 PM Peaceful Flotilla Terrorist brandishes his harmless salad knife prior to IDF soldiers boarding his ship. 5:05 PM: Demonstration in support of the IDF and Israel -- Whitehall, London -- 6 PM, UK time. Bring flags! In coordination with Police and CST. Get out and show your support! ADV: One-Click Pro-Israel Activism! It takes just 1 Click to help Israel! Sign up to help. 4:50 PM IDF Radio reports that masked Arabs are throwing rocks at cars and IDF border police at the Umm el Fahm interchange on highway 65. Troops are responding with tear gas and shock grenades. 4:32 PM The "media narrative" that the brutal ambush against IDF soldiers was committed by "peace activists" is already emerging. Reminder: The bloody violence was initiated by the Flotilla Guerrillas. 4:31 PM Reports that there are 600 flotilla terrorists on one of the ships that is refusing to cooperate. Apparently, there are wanted Hamas terrorists hiding among the flotilla terrorists on the ship. 4:18 PM Eyewitness Account: How the flotilla terrorists brutally ambushed the IDF. ...Navy commandoes slid down to the vessel one by one, yet then the unexpected occurred: The passengers that awaited them on the deck pulled out bats, clubs, and slingshots with glass marbles, assaulting each soldier as he disembarked. The fighters were nabbed one by one and were beaten up badly, yet they attempted to fight back. One soldier who came to the aid of a comrade was captured by the rioters and sustained severe blows. The commandoes were equipped with handguns but were told they should only use them in the face of life-threatening situations. When they came down from the chopper, they kept on shouting to each other “don’t shoot, don’t shoot,” even though they sustained numerous blows. More here at YNETNEWS. 4:06 PM Updates about the Flotilla from a pro-Israel viewpoint -- on facebook. The BBC interviewed Audrey Bomse,the rep of the Free Gaza Movement at the link here. What I liked is that this BBC interviewer was uncharacteristically tough on Bomse, the anti-Israel terrorist-"activist". One of the inconsistencies of her story exposed in this audio clip is that she claimed to be unaware of any light weapons stashed by her "activists" yet at the same time she was absolutely convinced that there was no live fire there. How could she claim this, since she wasn't there to begin with, and over 600 people were on that ship. Even if she would have inspected each one personally there are still ways of taking them aboard surreptitiously. But being that it is seriously unlikely that she could know either one of those as facts for sure it means, not having been there, combined with her utter certainty about both details means she's feeding us lies. 3:52 PM As Israel defends itself against a barrage of international criticism, the following is being distributed on Israeli leftwing websites. 3:49 PM While Israel's left is planning a demonstration against the IDF at the Kirya, Tel-Aviv this evening at 7 PM, a pro-Israel, pro-IDF, pro- freedom and security counter demonstration is being planned for the same location and time. 3:47 PM Ashdod residents demonstrate on behalf of IDF soldiers at the Ashdod Naval Port. 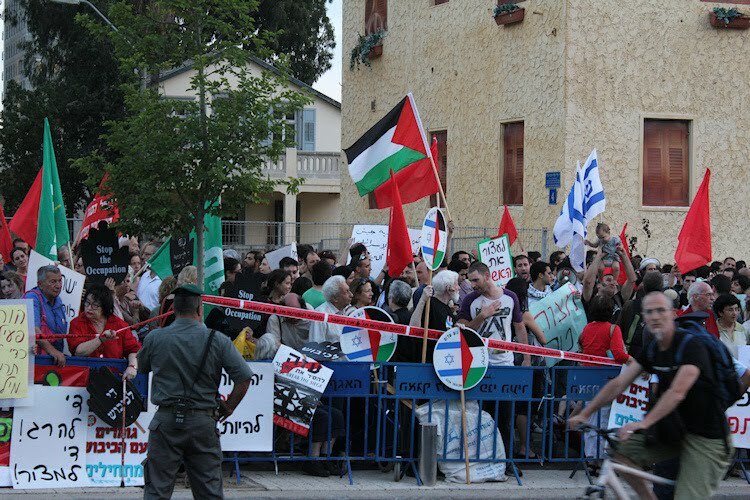 3:42 PM The usual gang of antisemites joins the party, denying Israel the right to security and freedom. 3:28 PM Tapuz forum via Rotter reports that "Tzav-8" emergency call up orders being distributed to air force and navy reservists. 3:21 PM Reports from the field that Jerusalem's Arabs are starting to riot in the area between the Lion's gate and Herod's gate of the Old City of Jerusalem. 3:15 PM Reminder: There is no humanitarian "crisis" in Gaza. See it all here. 3:11 PM Video showing leftists "peace activists" stabbing IDF soldiers. Note -- the IDF soldier was equipped with a paint gun. 2:54 PM News1 reports that the IDF soldiers were not prepared for the violence that erupted from the flotilla terrorist peace activists. 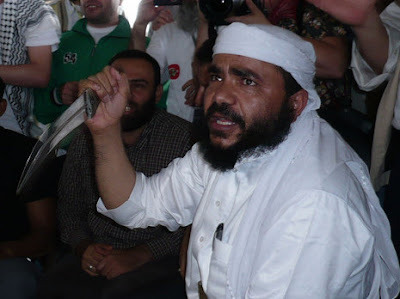 The soldiers testified that Sheikh Raed Salakh was among the violent attackers. military correspondents who accompanied the soldiers said the soldiers were given paintball rifles. When they boarded the ship, they were attacked with slingshots, metal balls, chairs and live fire. The terrorists threw soldiers overboard and tried to capture soldiers. This wasn't a freedom flotilla but one of terror. It was all too reminiscent of the Ramallah Lynching of 2 IDF soldiers by a Palestinian mob. 2:52 PM Israeli Arab media reporting that 2 of the dead flotilla terrorists are Arab residents of Haifa. 2:47 PM Nir Devori Reporter from Channel 2 TV: Devori reports that he personally saw Molotov cocktails ready to be thrown aboard the ship. He saw camera crews hit soldiers with metal bars, and then claim they were only camera crews. He saw demonstrators throw IDF soldiers off the decks of the boat, and then jumped afterward to give the appearance that they were thrown off. 2:41 PM Intelligence reports that rocket attacks are likely in the immediate hours from Gaza. The Gaza seam communities have been instructed to prepare their bomb shelters. 2:38 PM Channel 2 TV updates accounts from the IDF Naval Commandos that boarded the ship. Soldiers recounted that the "peace activists" all fought with knives, axes, metal bars, box cutters, razor blades -- even among the "photographers". 2:28 PM Updates! Channel 10 and IDF radio report that the IDF commandos were equipped with paint ball rifles to ensure minimum casualties among the flotilla terrorists -- their hand guns were to be used as a means of last resort! The terrorists tried connecting the steel cables from the overhead helicopters to the boat's antenna, in order to cause the helicopters to crash. Only when the "peace activists" severely beat the soldiers with iron rods, stab them with knives, and tried to lynch them, did the soldiers respond. IDF soldiers were pushed down stairs, thrown overboard, and shot at. Reported by Or Heller, Channel 10 TV. 2:21 PM Pro-Israel Demonstration outside Turkish Embassy in Tel Aviv: Tonight at 7:30 PM, 202 Yarkon Street. 2:11 PM The second Flotilla terror ship has docked at the Ashdod port. First the "Challenger" ship and now another one. 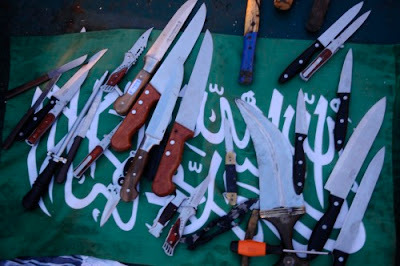 None of the flotilla terrorists are carrying identifying documents. The Challenger ship had nationals from Ireland, Holland, Belgium and the USA. 2:08 PM IDF Radio reports that Israelis are heeding the serious travel advisory to Turkey, and there are reports of mass cancellations. 1:55 PM Israeli Arabs Riot at "Mei Ami" Junction on the Wadi Ara highway (65) -- burning tires close the highway. 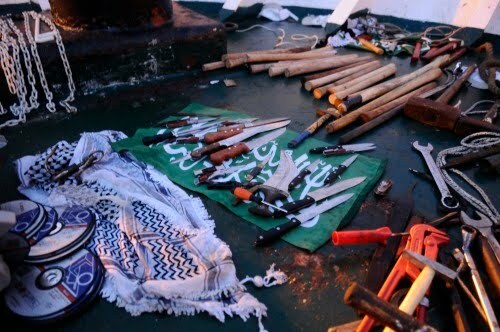 1:53 PM Video: The "nonviolent" Gaza Flotilla unleashes knives, clubs, and live fire on the Israeli commandos sent to prevent them from running Israel's internationally-recognized blockade on the Iranian-backed Hamas government. Later in the video you see footage of them departing Turkey. 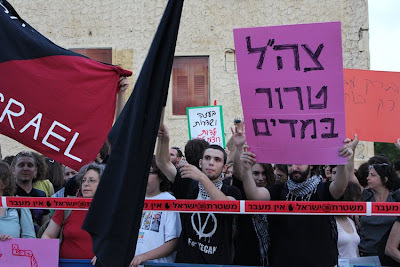 They're chanting "Khaybar Khayber ya Yahud, Jaysh Muhammad sa ya'ud," which translates to "Khaybar Khaybar O Jews, the army of Muhammad will return." The reference is to the seventh century massacre and enslavement of Jews in the city of Khaybar by Mohammed. 1:27 PM Video of IDF Navy Warning Flotilla from entering Gaza waters. Demonstrators outside the Israeli Consulate in Istanbul, Turkey. 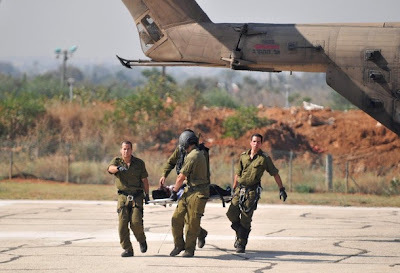 UNIT 669 brings injured IDF naval commandos to Rambam Hospital in Haifa. 1:07 PM Press Conference -- Chief of Staff, Gabi Ashkenazi. When all our attempts to convince the flotilla to abandon their provocation failed, we had no choice but to act. There is no connection between a Humanitarian flotilla and the behavior of the people on those ships. There was brutal violence from the second our troops boarded the ships. Israel tried countless times to convince the flotilla to allow its humanitarian aid to be sent to Gaza via Ashdod, yet the flotilla was determined to create a hostile provocation. More than 10 Naval commandos wounded from live fire, knives, metal bars and extreme violence. There is no humanitarian crisis in Gaza today. This entire flotilla is a huge political provocation, supported by international terrorists under the guise of "humanitarian" support. Israel will continue to do what is necessary to protect its citizens. The entire responsibility for Gaza is that of Hamas. 1:01 PM Israel Army Radio definitely reports that Raed Salah is alive, and on one of the terror-flotilla ships. 12:55 PM Israel recommends citizens planning trips to Turkey cancel them. 12:54 PM Official report that 5 soldiers wounded. 1 serious, 1 moderate, 3 light. 12:51 PM Riots reported starting in Ramallah (and Amman!). 12:44 PM Latest numbers (unconfirmed): 19 flotilla terrorist dead. 28 flotilla terrorists injured. 15 IDF soldiers injured (2 seriously, 1 moderate). 12:43 PM Israeli investment house reports they are divesting from Turkey. 12:32 PM Hatzalah inform all EMS volunteers - recheck and prepare all your medical and radio equipment. 12:24 PM Muqata blog holding up well in face of today's traffic surge. 12:12 PM Channel 2 reporting that Turkish parliamentarian may have been killed in fighting. 2 IDF soldiers in serious condition. 12:01 PM Radio news update: 15 IDF soldiers wounded. 10 Flotilla terrorists dead. Riots in Nazareth. Reports of Raed Salach's death from Arab workers at hospital where Raed Salah was taken to. Radio reports he's alive. Official death announcement may cause major riots. Other reports place Raed Salach alive and well on one of the boats. 11:57 AM VERY UNCONFIRMED. Rumors that Flotilla terrorist may have killed an IDF soldier. VERY UNCONFIRMED. 11:52 AM Arabs throwing stones in Jerusalem near Sha'ar Shchem (Damascus Gate) and other locations. 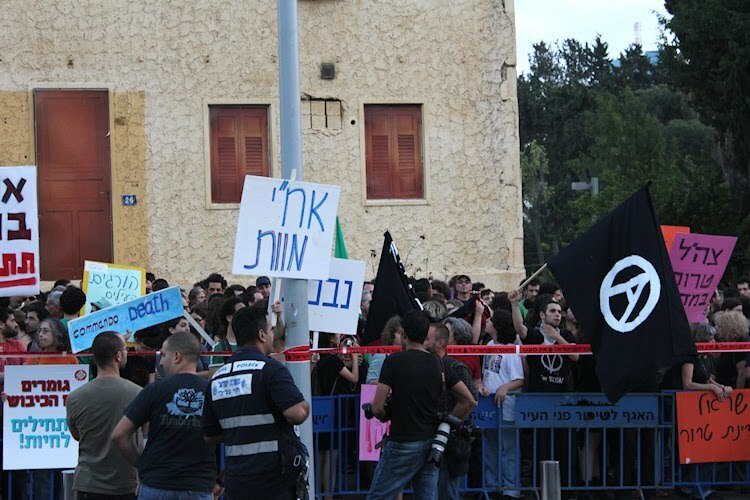 Loony Left protesting in Ashdod. 11:49 AM #Flotilla #Gaza : First Hamas Flotilla Terror boat brought into Ashdod port. 11:44 AM IDF spokesperson informed the Muqata that we will be receiving exclusive videos later today. 11:33 AM Raed Salach dead (Raed Salah) - (Unconfirmed foreign media reports). Awaiting confirmation. 11:09 AM Deputy Foreign Minister Ayalon: Israel did everything they could to prevent violence, including transport of humanitarian aid through proper channels. The flotilla was a pre-conceived provocation. There were readied weapons found aboard the ships. 10:56 AM Israel Tourism Ministry warns Israeli cruise ship to not dock in Turkey. 10:52 AM Arab MK Taleb A-Sanaa issued a press release Monday in which he called IDF soldiers "Nazis". 10:43 AM Near Gaza Settlements (towns) told to open and prepare bomb shelters. 10:26 AM IDF spokesman reporting that gunfire began when Hamas Flotilla member grabbed a soldiers gun from him and started shooting it. (See 10:45 AM update - 2 fired pistols found on boat). 9:50 AM IDF spokesman. "Humanitarian Activists" attempted to LYNCH IDF soldiers (that's not very humanitarian). IDF will be releasing videos and audios of the lynch attempt throughout the day. 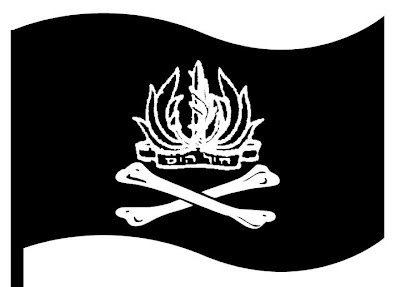 10 Flotilla terrorists confirmed dead by IDF spokesman Col Avi Binayahu. NYTimes has an opinion too. IDF soldiers only opened fire after the lynch attempt. Operation still ongoing. IDF inspecting containers. Raed Salach in critical condition. 9:18 AM Channel 10 reports Apache Helicoptors and (4?) F-15 circling around Hamas Flotilla. Police preparing for mass Arab and Leftist violence throughout the country. Ashdod port being prepared for Hamas flotilla arrival. CNN reports Deputy Head of Turkish parliment on board Hamas terror boats. 9:14 AM Foreign Ministry preparing for media onslaught. 9:12 AM Police close highway near Um El-Fahm (Route 65 - Wadi Ara) and Temple Mount area. 443 still open to Arab traffic. 9:08 AM Unconfirmed report that Israel's envoy being evicted from Turkey. CNN reports that soldiers were attacked with Guns, knives, axes, metal bars. Operation is still "ongoing". 9:06 AM Raed Salach officially listed as seriously wounded. Hamas Prime MinisterIsmael Haniyeh says this is a Crime against Humanity(he certainly should recognize those personally). Emergency cabinet meeting going on right now. 9:02 AM 10 IDF soldiers wounded. 1 serious, 1 moderate. 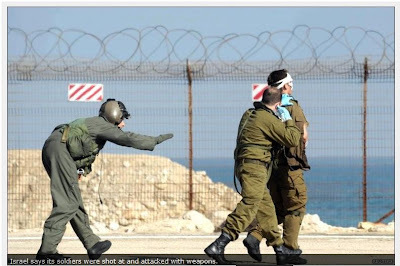 IDF soldiers attacked with gunfire from Hamas Peace Activists flotilla members. 8:57 AM Israel Foreign Ministry tells Israeli tourists in Turkey to leave immediately. 8:56 AM MDA goes to highest alert level. 8:26 AM Arab media reporting Raed Salach in moderate condition and 6 IDF soldiers injured. Confirmed reports on Galei Tzahal (IDF radio). 3 wounded transferred to Israeli hospital by helicopter. 8:18 AM 2 IDF naval soldiers reported injured in raid. 1 IDF soldier stabbed in stomach (by Humanitarian Peace Activist). 8:12 AM In Um el Fahm Israeli Arabs converge on Salach's home. Riots expected. 8:07 AM MUQATA EXCLUSIVE: Unconfirmed reports say that Raed Salach head of the Islamic Movement in Israel was killed on the boat. 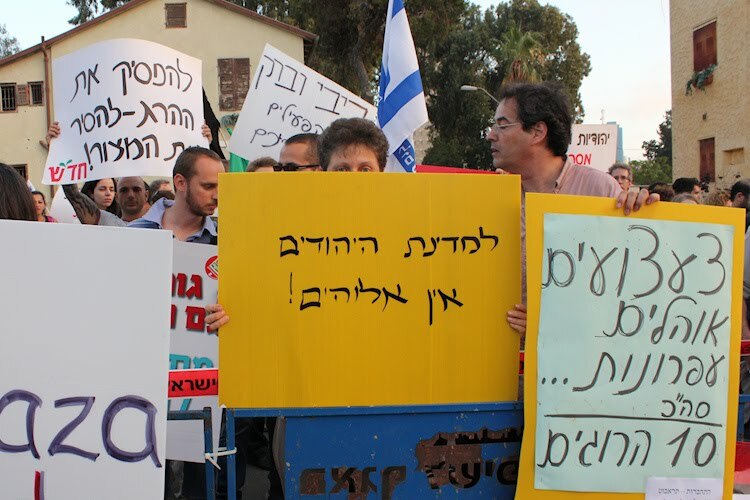 The far left Gush Shalom announces solidarity rally at Ashdod port. The anti-Gilad Shalit flotilla was stopped early this morning by Israeli Naval forces. Al Jazeera and Turkish media are reporting deaths and injuries among the floating Hamas terrorist supporters. Israeli news is reporting that the floating Hamas supporters attacked the naval soldiers with knives and bars and tried to grab their weapons. The soldiers initially responded with tear gas. We're waiting to hear from reliable media sources as the how many anti-Semites were hurt or killed (if any). Yesterday, Israel Radio rebroadcasted the singing and chanting coming from the boat. The chants were all anti-Semitic, called for the invasion of Israel by Islamic forces, and called for the destruction of Israel. Last week, the father of Gilad Shalit, kidnapped by Hamas in Gaza, begged that the flotilla Hamas support members bring a letter to Hamas to transfer to his son. He even offered to mediate with the Israeli government in exchange. The floating Hamas supporters refused to take his letter with them or cooperate with any humanitarian gesture towards the kidnapped soldier, in any way. Abusing the word "Human Rights", the flotilla was trying to reach Hamas and show support to the Hamas government - a government that kidnaps, tortures, and murders its own citizens on a regular basis. The Israeli government offered to transfer all the actual "humanitarian aid" on the ships through one of the regular channels that bring in humanitarian aid into Gaza every single day. The floating Hamas supporters refused. 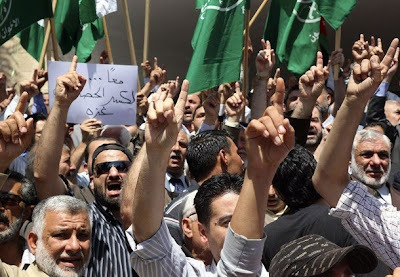 Police and Emergency and Rescue Services have raised the countrywide alert level in expectations of potential Arab and Leftist violence and rocket attacks breaking out across the country. In Turkey, protesters tried to storm the Israeli Consulate. More updates throughout the day as (if) events spiral out of control. R' Aviner announces on his video blog that a new, previously unpublished manuscript from R' Avraham HaCohen Kook is about to be published, and he will not be reading it. The book, "For the Perplexed of the Generation" has recently been transcribed and is available in very limited quantities. A PDF of the entire book is available here and a book review of it on the Kavannah blog. R' Aviner says that from a peripheral reading of the book, it is indeed from R' Kook, and appears to have been written in the period when R' Kook was outside of Israel. R' Aviner says the very long book (285 pages) was written "while R' Kook was very troubled in Chutz La'Aretz, as opposed to his clear and concise thinking when he was in Israel and wrote much shorter books." He continues and says the book "flip-flops" while the books R' Kook wrote in Israel were definitive and concise. 1. It was not "edited" by R' Kook's son, R' Tzvi Yehuda or the "Nazir". [Jameel; R' Tzvi Yehuda Kook purists will only read the works of R' Kook after they were edited by R' Tzvi Yehuda or the Nazir]. You will misunderstand R' Kook if you read an unedited version of it. R' Kook's unedited works are like "unripe fruit". "It is like a rooftop without a guard rail, and one could fall..."
2. The book is written inconclusively, without decisive analysis and a final decision. Jewish Law must be conclusive and not wavering. 3. R' Kook did not want this book published. It would have been published had R' Kook wanted it to be. R' Aviner: Therefore, we must respect R' Kook's wishes, and refuse to read the book. What is so scary about this book? The most alarming matter of all, that which causes the great confusion of ideas in this world, and dominates with great commotion - even today the time of the explosion of ideas, is the tendency to limit ones outlook on life within the confines of ones own group. Chapter 1, page 1 of the book. Personally, the best way to get me to want to read a book, specifically if written about expanding one's horizons, is for someone to actively encourage me not to read it. Again, you can read the entire book (at your own risk, of course), here. Known as "The Green Prince," Mosab Yousef was perhaps the most valuable intelligence asset of Israel's "Shabak" security forces, as he infiltrated the upper echelons of Hamas and the Palestinian terrorist organizations -- he was responsible for literally savings the lives of countless Israelis. And he didn't do it for money. He converted to Christianity, and out of a deep moral conviction, he believed that helping Israel was the correct thing to do. I have worn many hats in 32 years—Muslim, Christian, son of Hamas, Prisoner 823, spy, traitor, USAID administrator, businessman, best-selling author. Now I am Homeland Security File# A 088 271 051. And, according to these “highly trained” civil servants, I am a threat to America’s national security and must be deported. On June 30, at 8 a.m., I have a hearing before Immigration Judge Rico J. Bartolomei at the U.S. Department of Homeland Security Immigration Court in San Diego. But I am not worried about this. I am outraged! My only concern is about a security system that is so primitive and naive that it endangers the lives of countless Americans. Honestly, Judge Bartolomei’s verdict really does not matter. If he rules to deport me, I will appeal. And Homeland Security has assured me that, if he rules in my favor, they will appeal. And this insane merry-go-round can go on like that for decades. My concern is not about being deported. It is that I am being forced to stand and defend myself as a terrorist! This is ridiculous. And as long as this case is in the courts, I cannot leave the United States. If I do, I will never be able to return. For what? For risking my life fighting terrorism in the Middle East for ten years? For saving the lives of Israelis, Palestinians and Americans? - Deportation from the USA is a virtual death sentence for the Green Prince, and his blood would forever stain the hands of US Homeland Security and the administration forcing his deportation. - Despite official denials, some hint that the US advocates dialogue with [the less radical elements within] Hamas and Hizbollah -- yet for someone who is avowedly NOT a terrorist, the USA is trying its best to deport him. On page 5, Ms. Calcador concluded that, “At a bare minimum, evidence of the respondent’s transport of Hamas members to safe houses—discussed above in the Statement of the Case as but one example of the respondent’s involvement with Hamas—indicates that the respondent provided material support to a [Tier I] terrorist organization. Is she kidding? Either Homeland Security’s chief attorney has zero reading comprehension, or else she intentionally took the passage out of context. And I am not sure which is worse. Even a child reading the book can see that, during that time, I was working as a secret agent for the Shin Bet (Israeli’s internal security service, comparable to our FBI). My job required me to do anything I could to be involved with my father’s activities. So when he asked me to go with him to pick up these guys when they were released from the Palestinian Authority prison, I went. First of all, no one—not me, not my father, not even Israel—knew at the time that these men were involved with suicide bombings. With all of its assets, the Shin Bet did not put the pieces together for three more years. Second, I was the one who connected these men with the bombing at the Hebrew University cafeteria in July 2002. And Homeland Security would do well to remember that there were five American citizens among the dead. Apparently the agency needs also to be reminded that I was the one who located the terrorists and led to their arrest or death. Did the American government launch a special investigation to find their killers? No. Even the Israeli government had no idea who or where they were. I am not boasting, but the record is clear that I was pivotal to bringing them all to justice. And Homeland Security today tells me “thank you” by trying to deport me! Yes, while working for Israeli intelligence, I posed as a terrorist. Yes, I carried a gun. Yes, I was in terrorist meetings with Yassir Arafat, my father and other Hamas leaders. It was part of my job. And I passed on to the Shin Bet all the information I gathered during those meetings and saved the lives of many people—including many Americans. Maybe Homeland Security only read a few chapters of my book. If they would have bothered to read all 251 pages, they would know that I also worked with 40 Americans on the USAID water project in the West Bank for five years. Who took care of their security? Who warned them not to come to Ramallah if there was going to be an Israeli military incursion or if there would be shooting? Who protected their offices? I wasn’t being paid to do that. I did it because of a Christian morality that taught me to love, not hate. I protected my manager. I protected everybody. Nobody hurt them. Is this the behavior of someone who is a threat to Americans? If Homeland Security cannot tell the difference between a terrorist and a man who spent his life fighting terrorism, how can they protect their own people? Why is Homeland Security wasting its time investigating a former Israeli intelligence operative, instead of looking for the real terrorists out there? Is it personal? Racial? Political? Or just stupidity? I recommend you read his whole story. He asks 2 simple things from us, which is the absolute least we can do. 1. Share his blog post and his story with as many people as you can. or call her at 619.557.5578. If you live in the San Diego area, come to his hearing at 8 a.m. on June 30 and see for yourself Homeland Security in action. People: Its not often you can personally help someone who has saved the lives of countless Jews, Israelis and Americans. This isn't someone who has broken the law and deserves your help -- this is someone who has saved lives and deserves justice. Do the right thing -- spread the word. The Muqata Blog wishes a hearty "Mazal Tov" and congratulations to Rahm Emanuel on his son Zack's bar mitzva celebration today (Sunday, May 30). 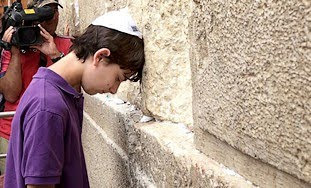 The JPost reports that the bar mitzva ceremony for White House chief of staff Rahm Emanuel’s son Zach and his nephew Noah took place Sunday at the southern wall excavations area near the Western Wall. On Sunday, both Emanuel's son and nephew read from the Torah portion of the week and gave a D'var Torah. Last week, in poor taste, right wing activist Itamar Ben-Gvir heckled the Emanuel family when they visited the Kotel in preparation for the Bar Mitzva. Ben-Gvir even petitioned the Jerusalem District Court to prevent the bar mitzva from taking place at the Davidson Center near the southern excavations of the Wall because the center lacked a license. The Jerusalem municipality said no license was needed because only prayers would take place. Ben-Gvir should have simply celebrated the bar mitzva, instead of heckling, by observing the time-honored Jewish tradition of throwing candy and keeping his mouth shut. Wishing the Emanuel family a mazal tov, and hoping they come back often to visit Israel's united capital city of Jerusalem. None of this is really a surprise, but still it is important to point out. The PA boycott of "settler" products has a number of interesting dimensions that many people aren't aware of. For instance, the PA has passed a law that PA residents may not use Israeli SIM cards in their cellphones, only SIM cards supplied by PA companies. Conveniently enough, Mahmoud Abbas's 2 sons (Tarek and Yasser) are owners and officers in the Wataniya cellular phone company supplying SIM cards within the PA. (Source: Makor Rishon, weekend print edition). Tarek is a VP in Wataniya, and Yasser sits on the investors panel that decided to give them money. For more open hints of the PA/Wataniya corruption scandal read this! - It took me a while to find the links, but if you want to get an idea as to how the peace corruption works in the PA (with US dollars), this is a good place to start. Reminds me of the Jericho casino. It upsets the PA that PA Arabs make a living from dealing with Jews or any examples of coexistence with Jews for that matter, so over the weekend the PA burned down 2 PA Arab stores in Hebron for doing business with Jews. But most interesting is how much the PA is willing to hurt their own population in their hatred of the Jews. The PA has demanded that Arabs stop working in Jewish companies in the "Settlements". They've even promised them "jobs" to compensate for quitting (and threatened them if they don't). Of course there is one small problem. 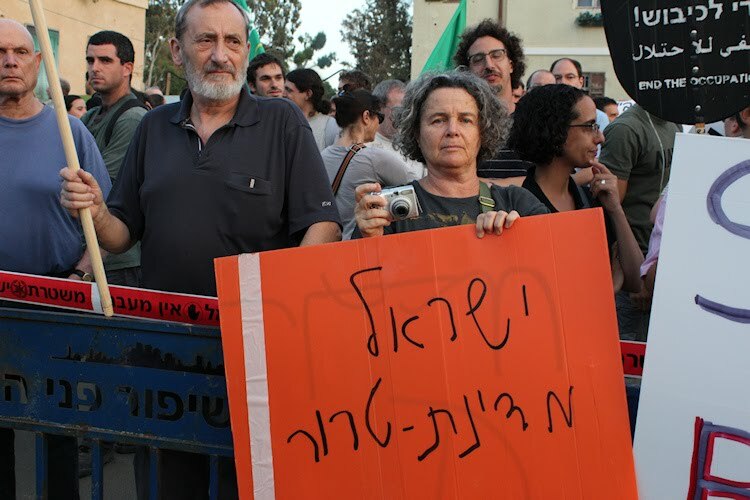 For instance, the average salary of an Arab working in the Barkan industrial park (apparently hundred if not thousands work there), is between 7000 - 8000 shekels a month. The PA wants them to quit, and is threatening them to quit., but meanwhile has only promised them salaries of up 1500 shekels a month. (Source: Makor Rishon, weekend print edition). With 8000 shekels a month in the PA, you can live like a king. Let me tell you, most of these Arabs are apparently quite happy being "Occupied". Their families appreciate being "Occupied". Their cellphones appreciate being "Occupied". They don't want to quit. In fact, it turns out that quite a number of Arabs in Hebron living right next to Jewish areas want to move, and would be happy to "return" (sell) their stolen homes back to the Jewish community. But besides the PA threat to murder them if they do so, there is another dimension that was just revealed. Makor Rishon in an expose uncovered that the Red Cross and other foreign organizations are paying these residents a lot of money each month to NOT leave. The Arabs openly listed the extra cash payments they are receiving for not leaving. And the Red Cross and other organizations did not deny they are paying these Arabs money every month, only unlike the Arabs, they claim it is for humanitarian aid - something these Arabs said they don't really need. Perhaps the first step to peace is kicking all these foreign organizations out of Israel. Popular Science reports that a team from the Computer Science Department at The Hebrew University in Jerusalem, Israel, has come up with technical – and subtle – solution for identifying sarcasm in electronic text. Oren Tsur, Dmitry Davidov and Ari Rappoport have devised an algorithm that identifies sarcastic tweets on Twitter and sarcastic comments in product reviews on Amazon. Named SASI, or Semi-supervised Algorithm for Sarcasm Identification, the formula successfully identified such sentences as: “Great idea, now try again with a real product development team”. In a paper titled Semi-Supervised Recognition of Sarcastic Sentences in Twitter and Amazon, the team claims the sarcasm detection algorithm could have important benefits such as personalising content ranking and recommendation systems such as those favoured by Amazon. Since sarcastic comment involves stating the opposite of what you actually mean, it could also be useful for repairing inverse allocations in opinion mining systems – and presumably pave the way for sarcasm-sensitive robots. The team’s findings will be presented at the International Conference for Weblogs and Social Media in Washington, DC, next week. 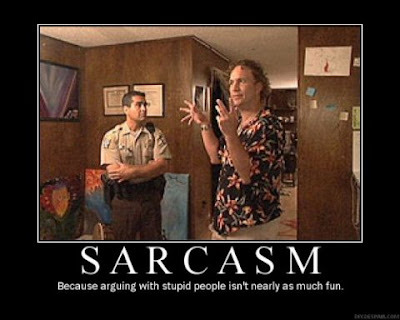 This could be even more valuable than Snopes, so that sarcasm-challenged readers and commenters can find out in advance if what they are reading or responding to is meant to be sarcastic and cynical. 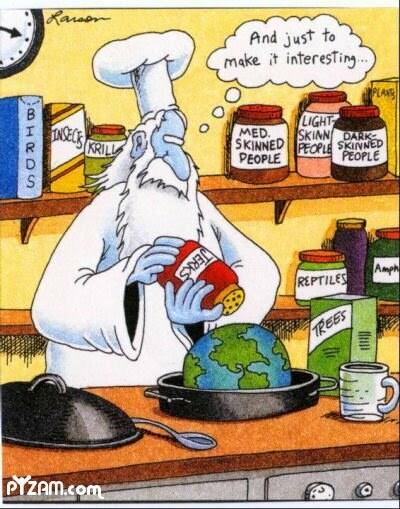 It probably wouldn't work on "Far Side" comics though. As the Hamas-supporting "Free-Gaza-Flotilla" makes it was towards the shores of Gaza, IDF Naval ships are planning to stop them. The JPost reports that the the Shalit family asked today for assistance from the international left-wing activists. If the left-wing activists pressure Hamas to allow international organizations to bring letters and food packages to Gilad Schalit, the kidnapped soldier's family has agreed to support the international expedition's attempt to dock, Army Radio reported Thursday. Lawyer Nick Kaufman presented the offer to the organization "Free Gaza," one of the organizers of the flotilla headed for Gaza, which promptly refused the offer. "We are disappointed that the organizers of the flotilla have refused to also provide basic humanitarian assistance to our son, who has been held in Gaza four years in contradiction of international law," said the Schalit family. The IDF announced Wednesday evening that it was planning to stop the international convoy of nine ships currently on its way to Gaza carrying hundreds of activists and thousands of tons of supplies. “If they decide to continue sailing and do not listen to the instructions, then they will be stopped, brought to Israel and dealt with by the Interior Ministry, which will return them to the countries they came from,” an IDF statement said. According to the statement, the IDF will unload the supplies and transfer the shipment to the Gaza Strip, after inspecting it for weaponry. To the Israeli Leftists who support the Flotilla - now's your real chance to help Gilat Shalit. If you seriously believe in Human rights, then you should demand that basic human rights are observed by Hamas, and that Gilad be able to receive letters, food packages, and even a visit from the International Red Cross. That's the bare minimum. Anything less is pure hypocrisy. The IDF would be more than glad to let your ships dock at Gaza...all you need to do is prove you really care about human rights, and you're not just aligning yourselves with Hamas to be anti-Israel. ...because it's currently drizzling in Israel (I even just heard thunder)! Next week there might be Sharav by the end of next week. Is Israel closer to attacking Iran? All sorts of interesting news tidbits point to an escalation of military activity surrounding Iran. NY Times: The top American commander in the Middle East has ordered a broad expansion of clandestine military activity in an effort to disrupt militant groups or counter threats in Iran, Saudi Arabia, Somalia and other countries in the region, according to defense officials and military documents. The official said that if this was a deliberate leak, then it was clearly an attempt to send a tough message to the Iranians that, indeed, no options – as the US has been saying for months – have been taken off the table." Its purely conjecture, but there are reports PM Netanyahu was summoned to Washington DC next week to meet with President Obama. Today, Netanyahu met with the inner cabinet of 7. NIF Fellow, Shamai K. Leibowitz, (Yeshayahu Leibowitz's grandson) who worked as a linguist for the FBI was sentenced Monday to 20 months in prison for leaking secret documents to a blogger. But federal prosecutors in Maryland have remained mum about exactly what was contained in the classified papers that Shamai K. Leibowitz, 39, gave the unnamed blogger in April 2009, while he worked on contract for the FBI. According to court records, the documents concerned "communication intelligence activities." During a Monday hearing in U.S. District Court in Greenbelt, Assistant U.S. Attorney Steven M. Dunne said Leibowitz "betrayed the FBI when he worked there," but offered no details. U.S. District Judge Alexander Williams Jr. said the response of federal authorities convinced him Leibowitz committed a "very, very serious offense." But the judge said even he does not know what information Leibowitz, a Hebrew scholar, disclosed. "I don't know what was divulged, other than some documents, and I don't know how it's compromised things," Williams said in court. Leibowitz's anti-Israel activity could hardly have come as a surprise to the NIF Leibowitz came out in favor of economic warfare against Israel several years ago. At the October 2002 Second National Student Conference on the Palestinian Solidarity Movement at the University of Michigan, Leibowitz accepted an invitation to argue for divestment alongside the likes of Sami al-Arien (under indictment for his longtime activities in the service of the Palestine Islamic Jihad terrorist organization). Leibowitz's legal work in Israel prior to his Fellowship is notable primarily for its political quality, rather than its devotion to civil rights. For several years, Leibowitz has served as counsel for International Solidarity Movement activists who illegally enter the state of Israel in order to foil anti-terror operations. Leibowitz has also attempted to intimidate reporters into silence through libel suits, such as the one he filed on behalf of I.S.M. activist Radhika Sainath against Jerusalem reporter Judy Balint for writing of Sainath's efforts to help Palestinians avoid security checks (The suit was ultimately dismissed.). Employment of the law in order to chill political reportage is generally thought of as inimical to the promotion of civil rights. Leibowitz achieved public recognition in Israel for his decision to represent Marwan Barghouti, West Bank leader of the terrorist al Aqsa Martyrs Brigade in his murder trial in Israel. Leibowitz apparently took on the representation because of his admiration for his client, and he claimed that trying Barghouti was immoral, since Barghouti was the Palestinian Moses leading his people to liberty (Ha'aretz, 4 Oct. 2002). Leibowitz expanded on the theme in a column published by the Israeli news website nfc.co.il, where he argued that the proper understanding of the Exodus story is that the Almighty acted as a terrorist, killing Egyptian children and innocents as punishment for Egyptian arrogance in lording it over another nation, and it would behoove Israel to ask itself how it has become the Egyptians. To their credit, NIF has apparently removed all traces of their relationship with Leibowitz, and he doesn't appear on their "Where are the NIF Fellows now?" webpage. I haven't found any trace of what type of classified information Leibowitz gave to the blogger, or who the blogger is. I would think that the same way the lefti-wing establishment has disconnected itself from Leibowitz, they should do the same with Anat Kam if she's found guilty. Reminder: 11 AM Siren Drill throughout Israel as part of the "Turning Point 4" nationwide emergency response exercise. "Now we're haggling about the price"